Sterling loses ground - what does this mean for you? Last week was a fairly busy week on the currency markets with GBP/EUR moving around 2% between the high and low. GBP/EUR rates peaked early in the week at 1.2860 before dropping to a low of 1.2587 on Thursday morning. Many UK buyers will have well noted the recent uncertainty for the £ with the EU Referendum coming up. Today, we are currently at a 2 year low against the Euro and at a 6 year low against the U.S Dollar. The uncertainty for the result of the Referendum is adding pressure to the £ as instability and uncertainty always creates weakness into a currency and volatility to markets generally. Almost daily, there are new polls showing increasing numbers backing a "Brexit" including many business leaders who backed the campaign over the weekend. All of the recent polls have put both camps too close together to give a clear front runner but any suggestions that one is pulling ahead could instantly move the currency markets. Keep a close eye on what exchange rates you require to achieve your goals, to cover the property purchase costs. As agents, we have connections with leading currency dealers who can get you the best exchange rate, but also to ensure that you are working with as much information as possible to make that decision. After several legal challenges, a decision in the EU Court (de Ruyter) France has confirmed that the deducted social contributions levied as part of the Capital Gains Tax calculation to non-French residents would now be refunded (BUT with a deduction of 2% (prélèvement de solidarité) which France views as not within the EU ruling. In other words 13.5% will be refunded, and these refunds are being made now. Several of our clients have successfully followed this required process. It rather upholds our view that this was an illegal tax. 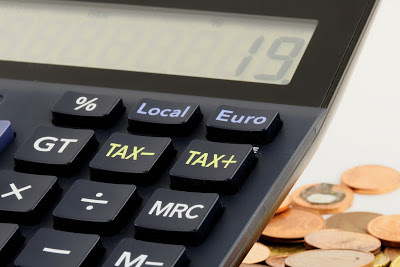 Many sellers were required to have a fiscal representative to calculate the gain (or loss). This cost was typically 1% of the sale price regardless of the gain made. This was required until 31st December 2014 when the law was changed following an EU case which decided this breached the free movement of capital within the EU. In other words, the French Government were making an illegal charge (again). The French Government is currently refusing to reimburse sellers’ costs in appointing such a tax agent to calculate and to guarantee the sellers’ capital gains tax liability. Our view, and that of other professionals is that these fees should be refunded as they were required by French law in breach of EU law. 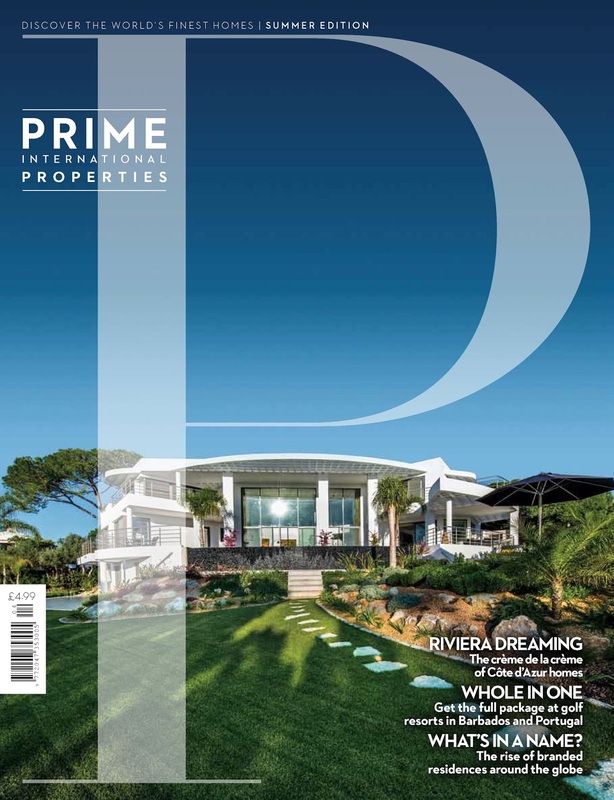 From April, Archant, publisher of French Property News and France Magazine, will be distributing 40,000 copies of a new quarterly magazine titled "Prime International Properties" across a range of locations including First Class airport lounges, five star hotels, hospitality boxes at sporting events, premium London shops including Selfridges and Harvey Nichols, and luxury estate agents. 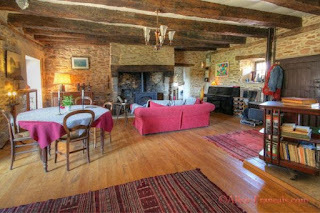 Allez-Francais has a website dedicated exclusively to prestige properties in south west France - see http://prestige.allez-francais.com - a select portfolio of over 50 Châteaux, Manoirs & Logis or exceptional country estates for sale, each one selected for its special character, quality and desirability. Our new presentation folders have arrived! Since 2005 we have been providing our clients with a quality A4 folder to contain all of the necessary property paperwork. This is the 3rd version of the design. 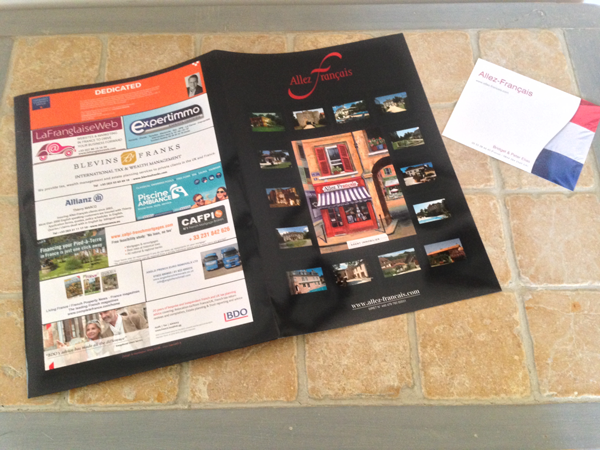 The latest folders reflect the current “feel” of our website, and all of the properties featured on the cover have been sold by us at least once. Some of the sponsors have been on all 3 folders, notably our FX dealers Foremost Currency and also our preferred insurers Thierry Marcq (Allianz). Last week was a particularly volatile one with the EU referendum in the UK giving way to the European Central Bank announcement as the major headline. We had seen an extension to the European Quantitative Easing Programme and cut to their deposit rate priced in for the last two weeks, but a surprise reduction in the base interest rate to zero caused a quick sell off in the single currency on Thursday. The euro weakened to 1.3064 against Sterling, the highest level since the start of February, before then retreating back down towards 1.27 as the markets digested the speech from Mario Draghi. The same thing happened in December when they last extended their stimulus package as investors saw it as a positive for the single currency. The rate fell 2.5% from the peak Thursday PM and meant that a EUR 250,000 purchase was suddenly nearly £5,000 more expensive just 18 hours later. We could be in for more of the same this week with some huge announcements to come. Wednesday looks to be the busiest day with UK unemployment figures to be released at 09:30, before Chancellor George Osbourne delivers his Budget Statement at 12:30. The budget can cause swings in Sterling crosses as the Chancellor has to manage cuts to public spending in order to reduce our deficit, without restricting growth. I would also expect to hear comments from him during his speech with regards to the EU referendum, with him backing the “Remain” campaign, and how it could impact outlook for UK growth. The final major event this week is the Bank of England interest rate decision Thursday, now that they have changed the release to every 6 weeks to coincide with their US counterparts. Again we don’t expect any change in the interest rate, or the split in votes, but any comments in the summary and minutes could affect the pound. This follows Eurozone inflation data which caused a drop in the euro last week so it looks like Wednesday and Thursday could be busy days on the FX markets. 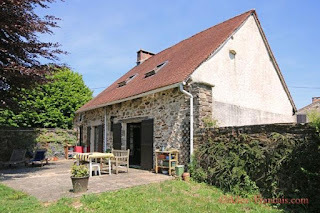 "I will sell this house"
In June I contacted Allez Français. The moment Richard Morford walked in, I knew that He would sell the house. Richard, unlike other agents, took the time to look at the house. He noticed its charm, he felt its body, he felt its soul. Then he took the time to listen to its history. Then he walked through it again, from attic to basement. and through the garden, and through the hamlet. Meanwhile he took pictures. When all that was done he smiled and said: “I will sell this house”. I knew he would, I knew it the moment he walked in. Before the summer had passed, he did it. 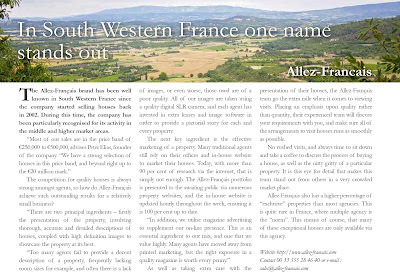 The Allez-Français brand has been well known in South Western France since the company started selling houses back in 2002. During this time, the company has been particularly recognised for its activity in the middle and higher market areas. 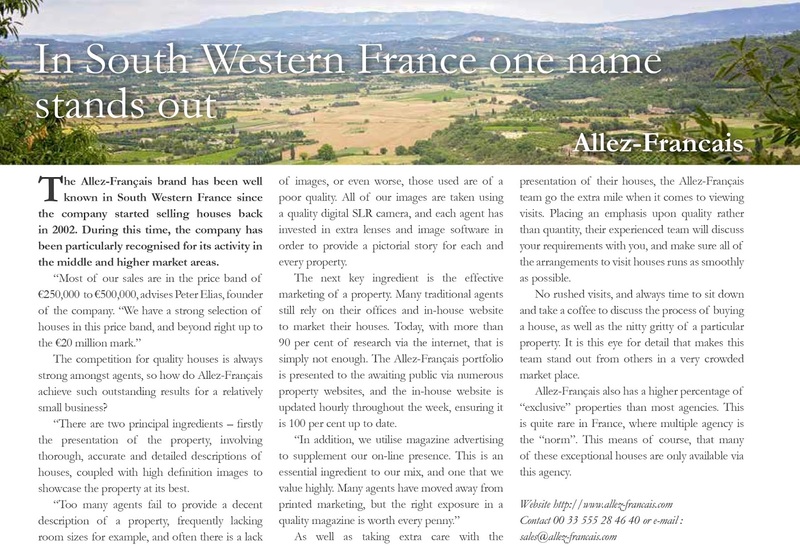 The competition for quality houses is always strong amongst agents, so how do Allez-Français achieve such outstanding results for a relatively small business? “There are two principal ingredients – firstly the presentation of the property, involving thorough, accurate and detailed descriptions of houses, coupled with high definition images to showcase the property at its best. “Too many agents fail to provide a decent description of a property, frequently lacking room sizes for example, and often there is a lack of images, or even worse, those used are of a poor quality. All of our images are taken using a quality digital SLR camera, and each agent has invested in extra lenses and image software in order to provide a pictorial story for each and every property. The next key ingredient is the effective marketing of a property. Many traditional agents still rely on their offices and in-house website to market their houses. Today, with more than 90 per cent of research via the internet, that is simply not enough. The Allez-Français portfolio is presented to the awaiting public via numerous property websites, and the in-house website is updated hourly throughout the week, ensuring it is 100 per cent up to date. As well as taking extra care with the presentation of their houses, the Allez-Français team go the extra mile when it comes to viewing visits. Placing an emphasis upon quality rather than quantity, their experienced team will discuss your requirements with you, and make sure all of the arrangements to visit houses runs as smoothly as possible. No rushed visits, and always time to sit down and take a coffee to discuss the process of buying a house, as well as the nitty gritty of a particular property. It is this eye for detail that makes this team stand out from others in a very crowded market place. 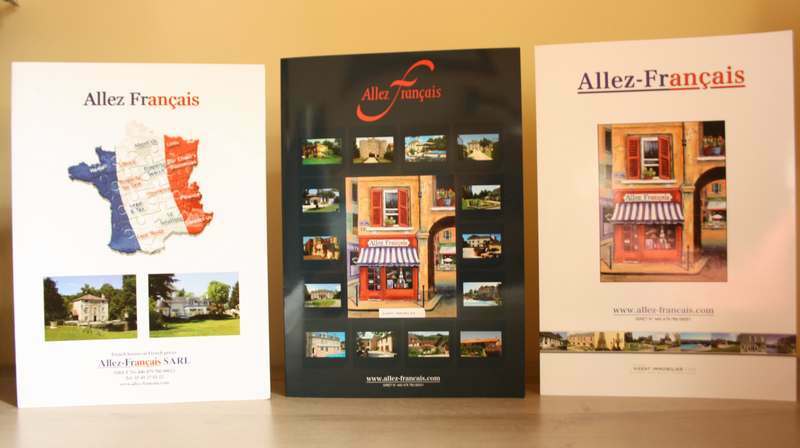 Allez-Français also has a higher percentage of “exclusive” properties than most agencies. This is quite rare in France, where multiple agency is the “norm”. This means of course, that many of these exceptional houses are only available via this agency. Mark Sampson is a writer based in south-west France. Born in London, reared in Belfast and matured in Brighton and Sheffield, he moved to France with his family in 1995. The construction of his family's straw-bale house in France was featured in Channel 4's Grand Designs Abroad. 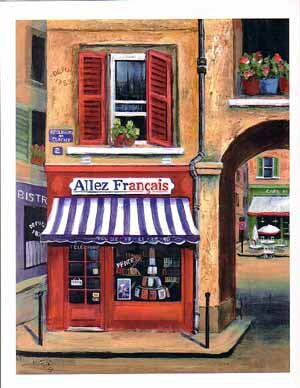 After more than 20 years of living in France, Mark knows this beautiful country and its people pretty well. 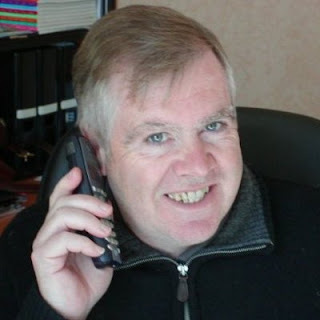 Throughout his tenure in a foreign land, he has written for journals such as The Times and France Magazine on everything from village life and truffle hunting to an Anglicised Breton wedding and the popular presenter of Grand Designs. 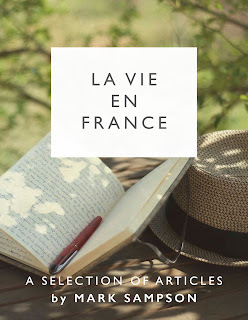 For the first time he has collected his journalistic pieces to complement his selection of blogs published as La Vie en Straw. If ever you've wondered what it's like to drive down one of the world's most beautiful motorways or to fill in a French income tax return, look no further than this multifarious volume. I was very pleased to receive these comments from Mr & Mrs W from Hampshire. They sold their house in the Lot through Allez-Français in the autumn of 2015. “When we decided to put our house in France on the market we consulted three agents in our area who advised that it could take up to 18 months if not more to sell it. We were prepared to accept this but a friend recommended we talk to Peter Elias at Allez Français. Peter asked for a lot of information up front so that when he visited the house he was fully prepared and took some excellent photos of inside and out and by the time he left we had agreed to give him an exclusive mandate. Within a few weeks we had two serious potential buyers, the first of whom made an offer within a few days which we accepted. We believe this was entirely down to the way in which Peter handled the sale and if we had not contacted Allez Français the house would probably still be on the market.